Featured in the Island Rains collection, this Tacori bracelet will brighten any style. 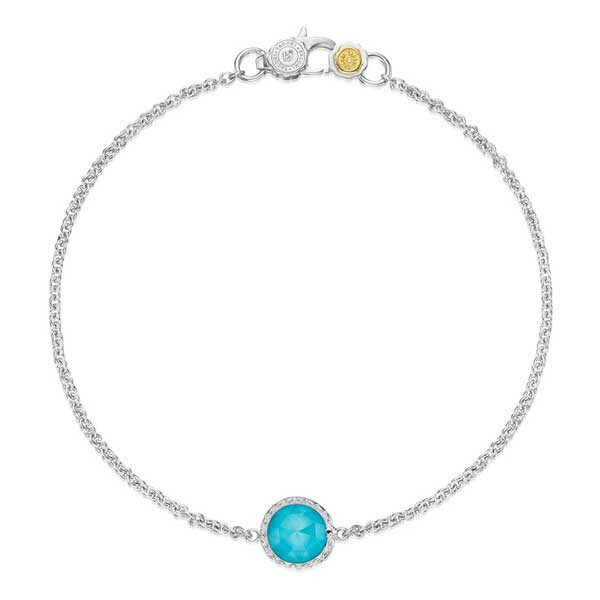 The sterling silver frame is etched with the signature crescent motif as it nestles a neolite turquoise gemstone layered with clear quartz. Let the irresistible hue of this fabulous bracelet turn heads in your direction.